THIS FREE EVENT IS DESIGNED AS AN INTRODUCTION TO THE SANCTUARY'S ACTIVITIES. 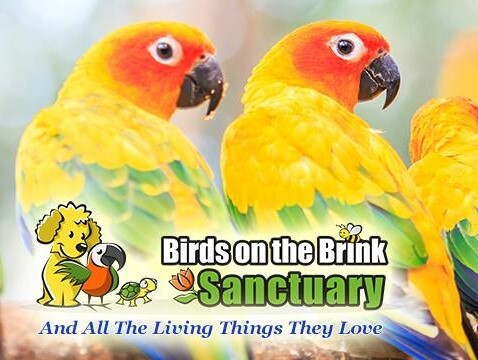 Birds on the Brink Sanctuary is a place in Harlem, GA, a fun and forever home for birds and other living beings who are on the endangered or threatened list. The Sanctuary strives to take care of the unique and special needs not only of individual animals, but also of particular species. -- close encounters with some of the Sanctuary birds. -- the magical unseen fluorescent world of the bees, birds and butterflies. -- Interaction with birds and butterflies via holographic technology. -- viewing murals painted for the Sanctuary and meetings with the artists.